Engine has been lifted under current ownership. Professionally serviced every year. This is a great little vessel, tailor made for Balearic adventures. Owned by a marine engineer, this boat has wanted for nothing in maintenance over the last few years. New upholstery in and outside, carpets, engine lifted, new paint job, and new propeller, to name but some of the work done. She also benefits from an upgraded, custom made swim-ladder. There is space don below for a quick nap, and two could easily overnight on board. She also can come with the option to continue the berth rental, is a very pretty part of the island indeed. This would be by separate arrangement with the marina. 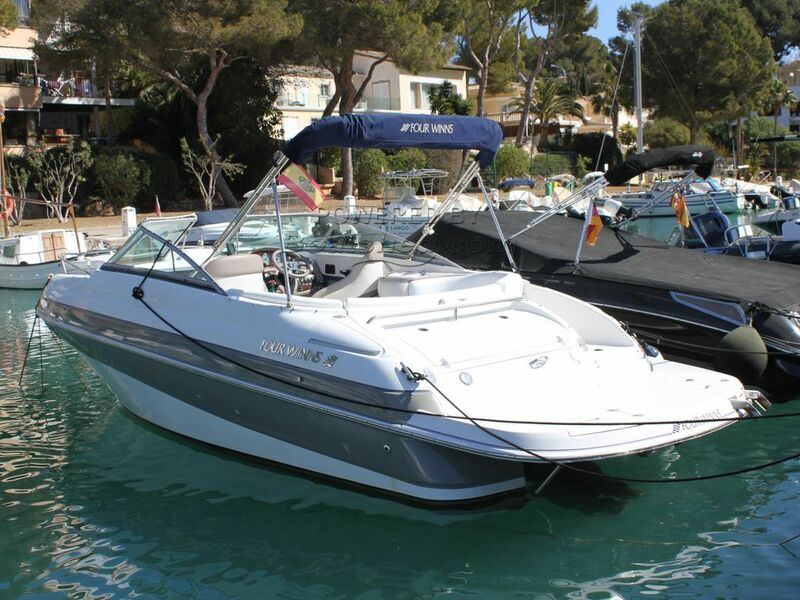 This Four Winns 205 Sundowner has been personally photographed and viewed by Rory Gillard of Boatshed Palma. Click here for contact details.